Estabrook Park lies on the banks of the Milwaukee River, part of the Milwaukee River Greenway, 6 miles north of downtown and 2.5 miles north of the University of Wisconsin-Milwaukee. 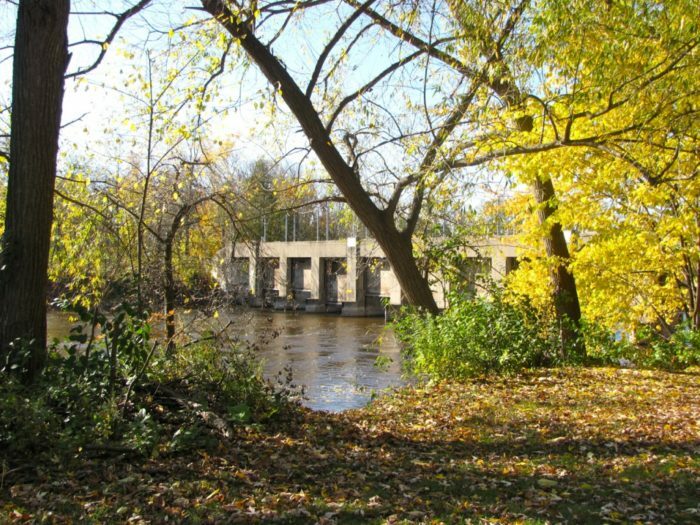 The Oak Leaf Trail runs along the east side of the park and offers a great route to run, providing views of the Milwaukee River along the way. It’s important to note that it’s mostly wooded and not lit, so it may not be a great trail for night time. The mapped route follows the Oak Leaf Trail from the top of the park looping back up and around at bottom, for a flat, just under 3 mile loop. The park’s newly popular Beer Garden is set on a bluff just above a waterfall, a great place for a post run treat! Some of the other features of this park include its two dog parks and a skate park. Add-On: Our route is mainly in the park, but a great option is to continue on the riverside trail, heading south, for another 2.3 miles or so. From Rt. 190 (Shorewood), it’s 1.4 miles through Kern Park and Pleasant Valley Park to E. Locust St., and 0.8 miles through Gordon Park to E North Ave.